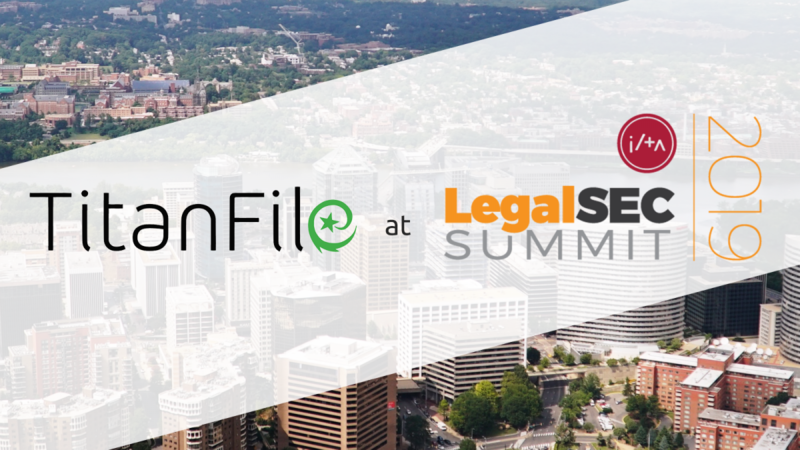 TitanFile will be attending ILTA’s LegalSEC Summit 2019 at the Crystal Gateway Marriott in Arlington, Virginia from June 3rd – June 5th, 2019. LegalSEC Summit is designed for legal technology professionals. This 2-day summit is a premier learning and networking environment focused on information security challenges faced by the legal industry. As a long-time supporter of ILTA, TitanFile is excited to be a part of this big event and we are looking forward to meeting everyone there! Visit the LegalSEC website for agenda and registration.